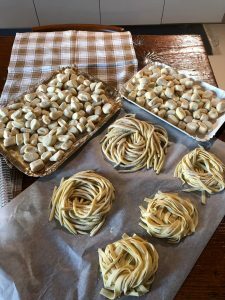 Our friend Linda Galletti has arranged a pasta-making session with our guests at the Molino….they really enjoyed themselves, and after familiarising with flour, eggs and the rolling pin, they were able to eat freshly made umbricelli with a wonderful carbonara sauce. 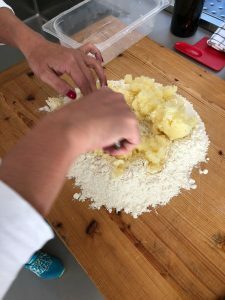 Linda is always available and ethusiastic about sharing her knowledge and crafts with our guests. ← Monte Peglia dichiarato riserva Biosfera Unesco!